With the skillet off the heat, add the butter, lime juice, and cilantro to the edge of the pan the gently toss it around until the butter melts and it becomes a creamy pan sauce. 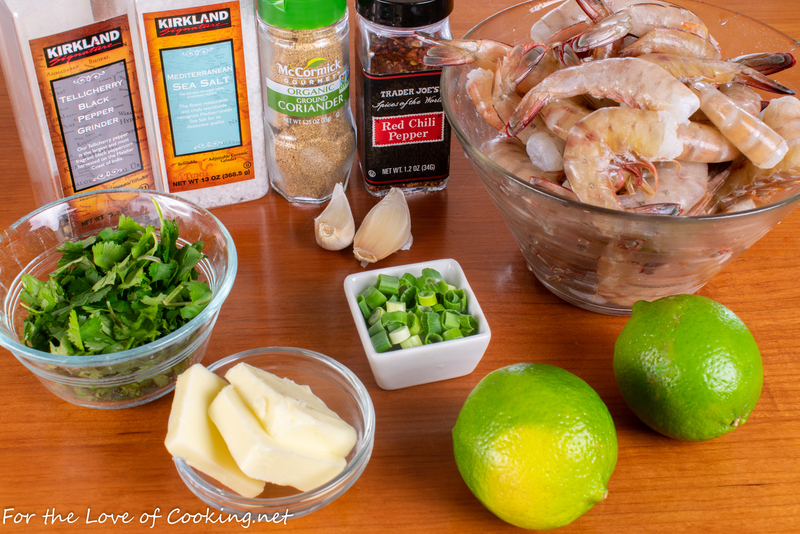 Sprinkle the shrimp with the green onions and lime zest then toss the shrimp in the pan sauce until evenly coated. Serve immediately with lime wedges on the side. Enjoy. Clean the shelled & deveined shrimp and pat very dry. Season evenly with sea salt and freshly cracked pepper, to taste. Heat one tablespoon of butter in a large skillet. Add the crushed red pepper flakes and the coriander then allow it to cook for 30 seconds. Add the shrimp and cook them until they are pink, about 1 minute, then flip them over and continue cooking for 1 minute. 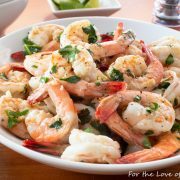 Add the minced garlic and cook, tossing the shrimp and garlic with tongs, for 30 seconds, or until the shrimp are opaque and firm. Remove from the heat. With the skillet off the heat, add the remaining 2 tablespoons of butter, lime juice, and cilantro to the edge of the pan the gently toss it around until the butter melts and it becomes a creamy pan sauce. 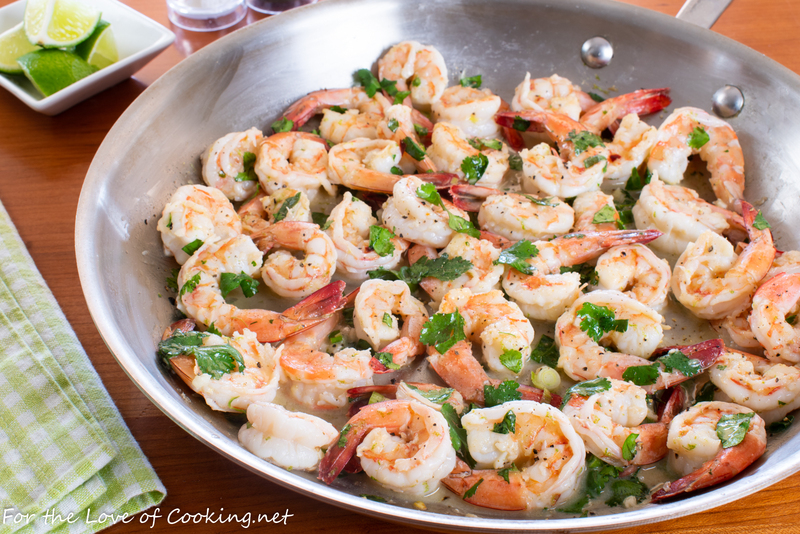 Sprinkle the shrimp with the green onions and lime zest then toss the shrimp in the pan sauce until evenly coated. Serve immediately with lime wedges on the side. Enjoy. I still have a bag of shrimp in the freezer that needs to be used up soon. This is a perfect recipe! Really yummy, Pam. Oh yum. My favorite seafood. Looks delicious with your seasoning ingredients. 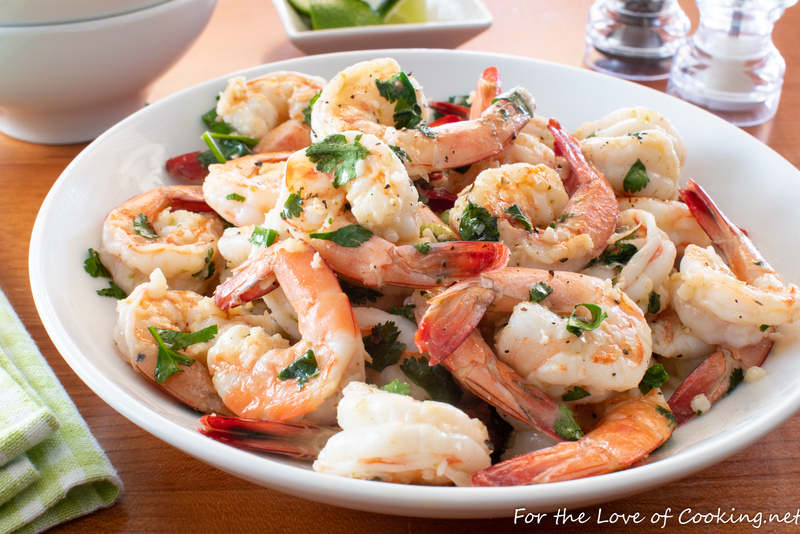 This is a wonderful way to enjoy shrimp. Garlic, cilantro and citrus are a natural pairing. Thanks for sharing this idea. These look awesome Pam and I know I would love them – just had ceviche yesterday for supper and it had lime and cilantro in it.